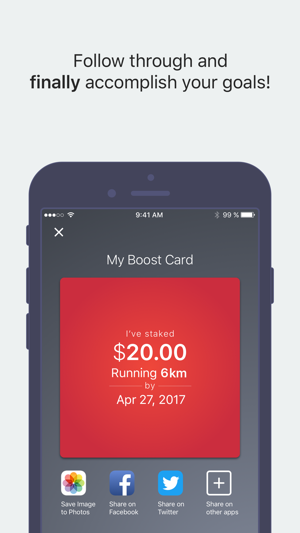 Boost is a simple app that uses social, financial stakes, and data to help you follow through and accomplish your goals. 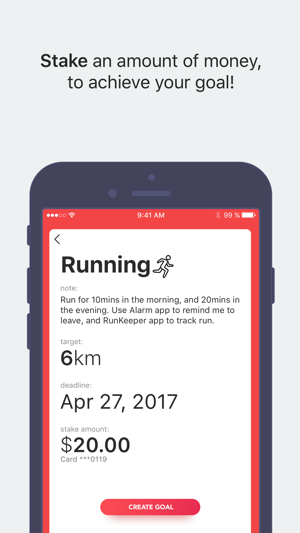 Step 1 — Choose an activity to create a goal. Set a target, a deadline and stake an amount of money to achieve the goal. 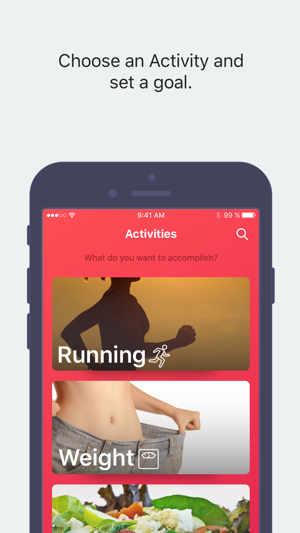 Step 2 — Track your activity using your phone or any of your HealthKit enabled third party apps and wearable technology. Step 3 — Share your goals with your friends & family! Make your goals a reality with the support from others. Step 4 — Win back your stake amount by achieving your target within your deadline! If you are unsuccessful, then you will lose your stake amount. 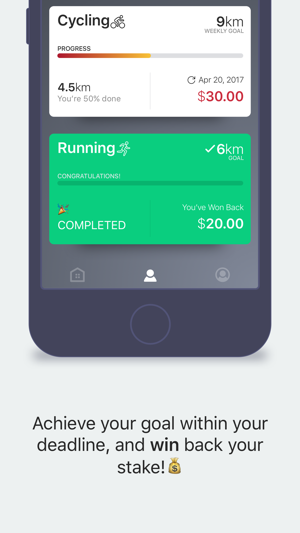 1 — Boost uses the proven concept of Loss Aversion. Simply put, you don't want to lose your money so you'll do what you can to keep it. 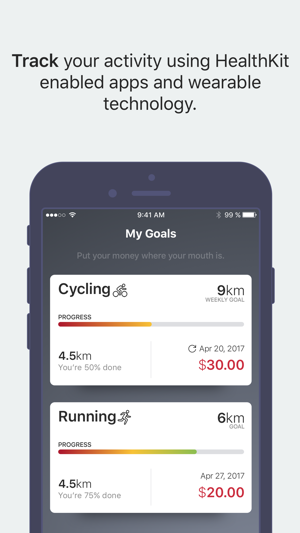 Put your money where your mouth is, and finally accomplish your goals! 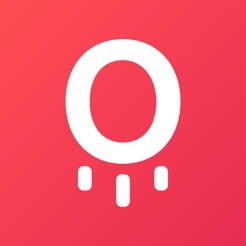 © 2017 DarkMatter Application Inc.